As couples try to save their relationships or marriages from sinking, most of them set themselves up to fail. Greg Behrendt (author and film consultant) and Amiira Ruotola recently teamed up to write “How to Keep Your Marriage from Sucking,” which is a self-help manual aimed at couples. 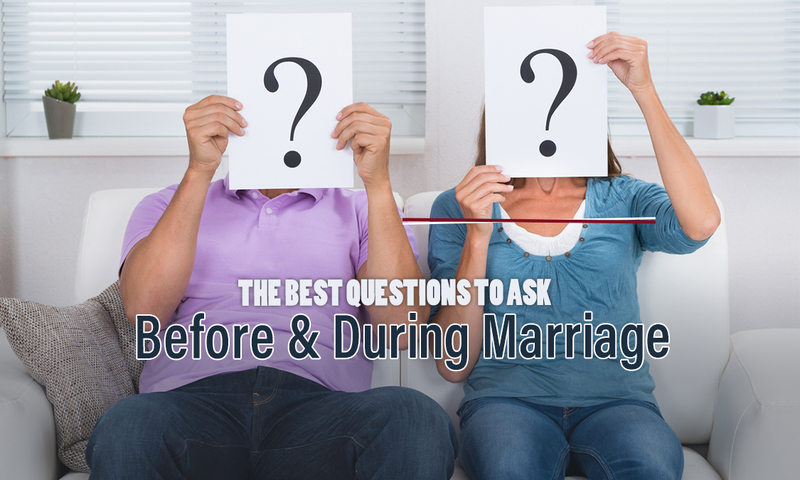 According to the book, here are some of the questions to ask your loved one before and during a marriage. Does Your Family Acknowledge Our Relationship? Families can be the driving force or wrecking in a peaceful marriage or relationship. Just because you match in many ways with your partner, it doesn’t mean that his/her family acknowledges your union. Your spouse should ascertain you that the family members respect the love you share. Always open yourself to different possibilities when you’re in love. Your partner may have different expectations of marriage than you do. Before committing yourself to a lifelong relationship, get clear answers from your partner on why the two of you are getting married. Most people pretend not to know the truth about their spouse’s flaws since it’s inconvenient for them. However, they find themselves heartbroken and depressed after the true colors of their loved ones start to show. You should consider asking family and friends if they see any legitimacy issues or red flags regarding your marriage. Can I live without this Person? The reason most people divorce is because they focus less on determining if they chose the right spouses. Take time to figure out whether your partner is the right one for you. Imagine the possibilities of a life without your partner to figure out whether he or she is worth your love. From the above explanations, you can conclude that it’s wise to keep asking questions after getting married. You should know when it’s right to ask the said questions. You also need to understand the relevancy of your queries to your relationship/marriage.